Pan African Resources began the construction of its R1.7 billion Elikhulu tailings retreatment project in Evander, Mpumalanga, on 25 August 2017. The plant is expected to produce an average of 50,000 ounces of gold per year for the next 13 years. 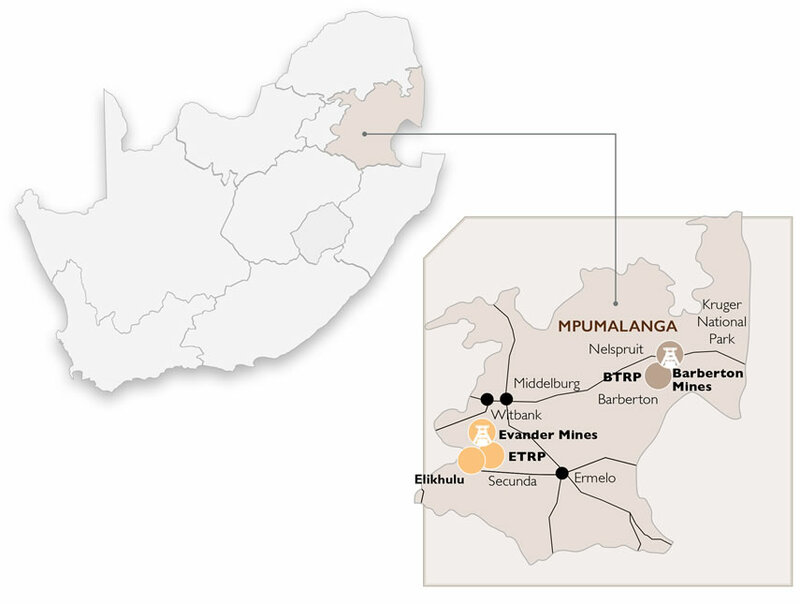 Elikhulu’s capital expenditure is forecast at approximately R1.7 billion (approximately US$130 million) and is scheduled to produce first gold in the final quarter of the 2018 calendar year. Three existing tailings storage facilities will be reclaimed, in the following order: Kinross, Leslie-Bracken and Winkelhaak. 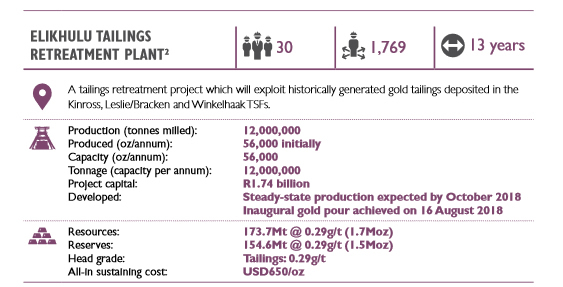 The three tailings facilities will, after processing, be consolidated into a single enlarged Kinross facility, thus reducing Evander Mines’ environmental footprint and associated environmental impact. The low-cost, long-life Elikhulu project is fully permitted for construction and expected to reduce the Group’s average all-in cost of production.